A man who barged onto a school bus full of children in Campo and pulled a knife on the driver pleaded guilty Thursday to assault with a deadly weapon and misdemeanor child endangerment. Matthew Douglas Barker, 37, is scheduled to be sentenced Jan. 22. El Cajon Superior Court Judge Robert Amador said he would likely suspend a 6-year prison term and sentence Barker to a year in jail, then order him released to a long-term residential facility while on felony probation. 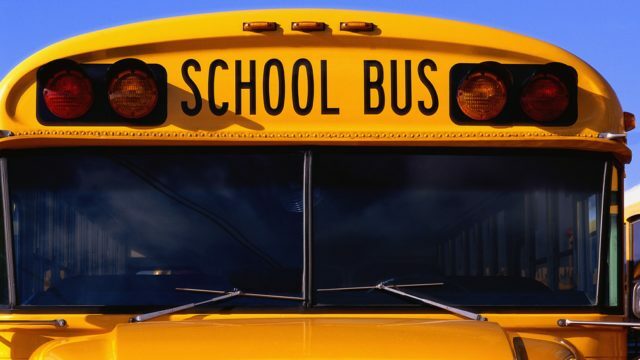 Sheriff’s officials said the school bus was pulling away from a stop in the 900 block of Jeb Stuart Road in Campo when the driver noticed a man running toward it about 8:30 a.m. May 25. Thinking the approaching pedestrian was a parent trying to stop the bus for a child who had missed it, the driver pulled to a stop and opened the front door of the coach, sheriff’s Sgt. William Uelen said. Barker then began to board the vehicle, which was full of Campo Elementary School students, prompting the driver to inform him that he was not allowed to do so. When the intruder refused to stop, the driver tried to physically block him from getting into the passenger area, Uelen said. Seeing the two men grappling, a grandmother of one of the students hurried aboard to try to help the driver. As the struggle between the three escalated, the assailant pulled a knife, Uelen said. At that point, a second bystander entered the bus and intervened. Following a scuffle, he was able to pry the weapon away from Barker and pull him off the bus. Arriving deputies arrested Barker — a Campo resident — without further incident. No injuries were reported. Barker was not on drugs but surveillance video on the bus showed that he was not in his right state of mind, said Deputy District Attorney Taren Brast.